Technically, it may be fall, but in the Twin Cities the past week or so has felt like summer. Last week we even had temperatures in the 80s for a few days. If it wasn’t for all the bare trees and leaves piling up in the yard, you’d think we were still making our way through the summer months. 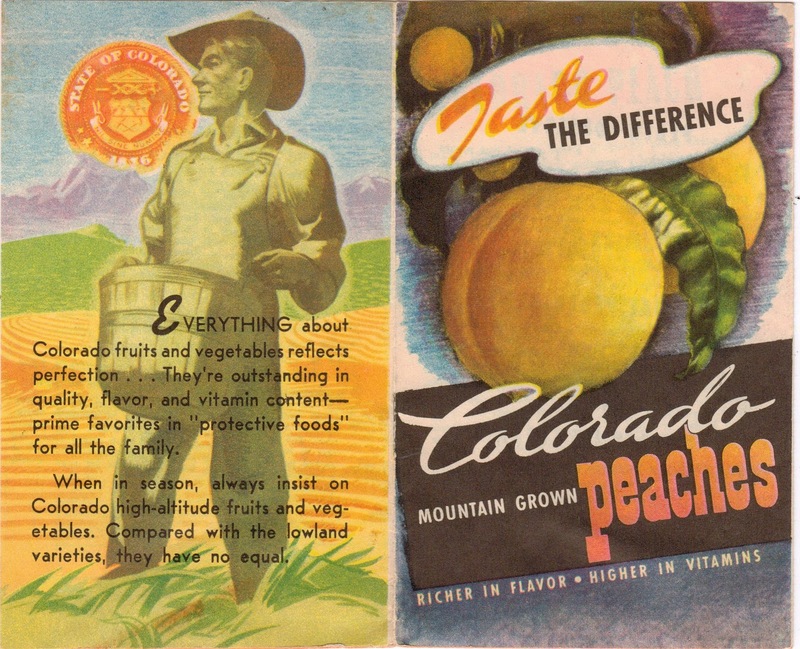 All of these warm, sunny afternoons have left me craving those delectable summer treats and when I dove into the box to find a recipe to satisfy my taste buds, I came out carrying a pamphlet for Colorado peaches. 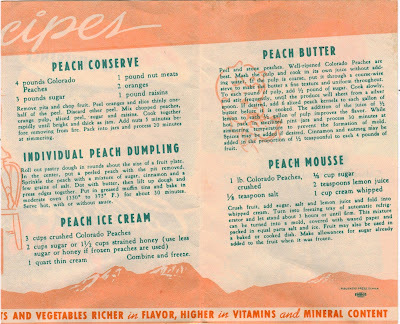 The pages contain several different peach recipes, but as soon as I made my way to the store and discovered how hard the fuzzy summer fruit would be to find, I decided to settle for just making one…if I could ever find fresh peaches. One afternoon, Murphy and I began to make the rounds of all the local grocery stores in search of the main ingredient. Finally, at our last stop, we discovered a heaping pile of beautiful autumn-colored peaches. And they just happened to be from Colorado – how fitting! The smell floating up from the mound of ripe fruit was intoxicating and was the perfect match to the blue skies and rising mercury outside. After selecting a few, I returned to the car where Murphy was patiently waiting for me to return and lower the windows so he, too, could soak up the last drops of summer as we drove home. Ryan and I decided on the Individual Peach Dumplings, which just might be one of the easiest recipes I’ve made from the box so far. After rolling out the dough, cutting up the fruit, sprinkling it with cinnamon sugar, salt and butter, we tucked the dumplings into large muffin tins and popped them in the oven for half an hour. Luckily, the time passed quickly and soon we each had our own little peach pie sitting on a plate coupled with a fast-melting scoop of vanilla ice cream. This is one of those recipes that remind us that food doesn’t need to include exotic ingredients and preparation doesn’t need to be labor intensive in order for the dish to taste absolutely delicious. These little dumplings are simple to make for one or two people or would even be great for a small dinner party. 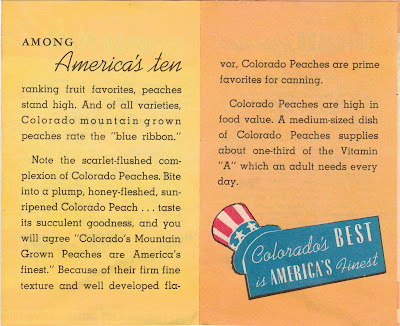 If you can still find peaches, I highly encourage you to give this one a try. Especially if you’re in an area like the Midwest where these beautiful days are in short supply and soon we’ll be shoveling that dreaded white stuff (I can’t even bring myself to say the word…snow…yuck). Here’s my recommendation: take a plate with your individual peach dumpling and ice cream out to the deck, enjoy it with friends, family or your four-legged best friend by your side and take a moment to let it all soak in. Absorb the remarkable autumn colors, the smell of fallen leaves, the feeling of fresh fall air on your skin. 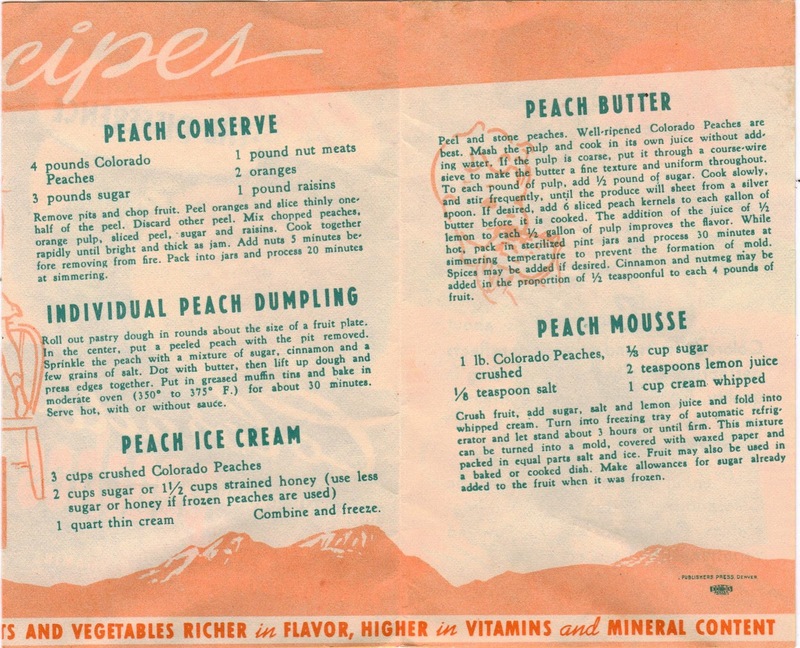 Soon the peaches will be gone and the trees will all be empty, but the memory of that one perfect moment will last forever – or at least until the nice weather returns and you can make more memories (and more peach dumplings!). This looks fantastic! Right up my alley, if I can find peaches anymore. I wonder if frozen would work? These do look great! 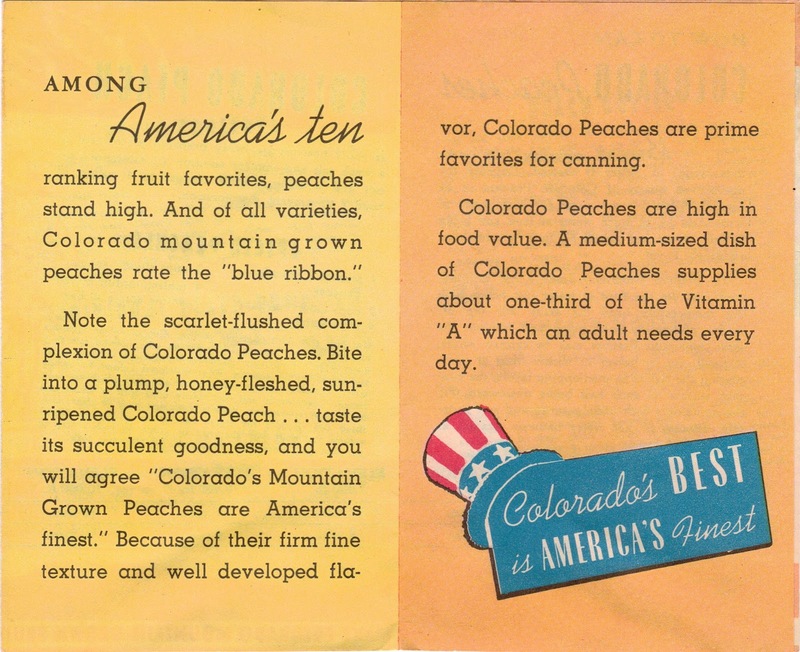 As I have been living in Kansas these last 18 years, I too have come to enjoy the Colorado peaches. Although, being from California, I do enjoy them too. Love your posts. 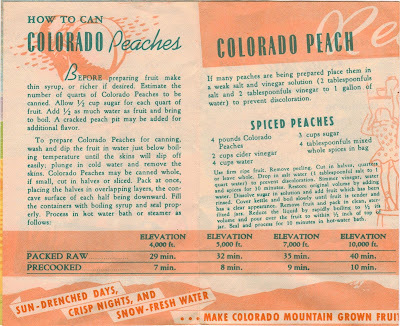 Have to see if I can make the spice peaches from the above recipe. 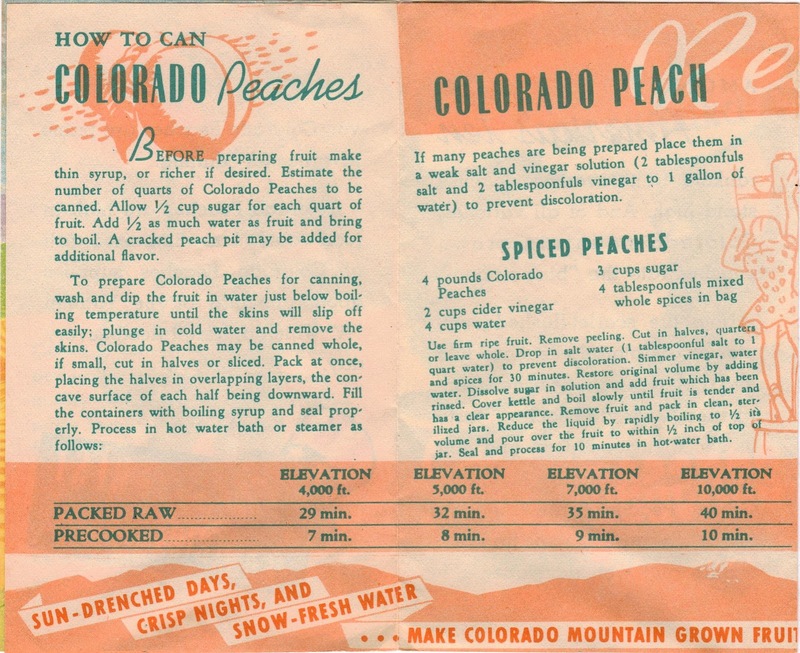 My grandmother canned many jars of spice peaches and they were delicious!! !